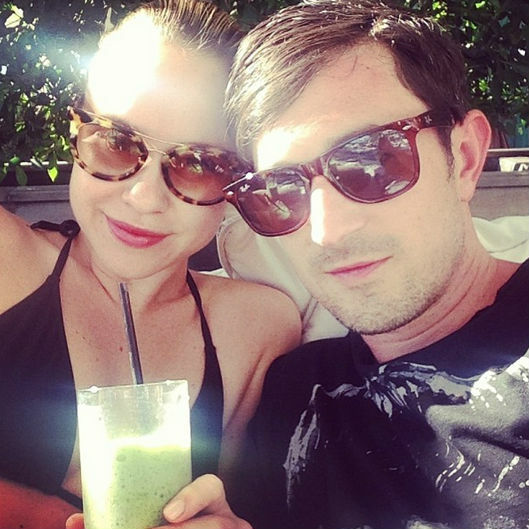 -More tragic news for the Glee cast: Becca Tobin‘s boyfriend was found dead in a Philadelphia hotel room. Drugs do not seem to be the cause. -Is a Gwyneth Paltrow/Chris Martin reconciliation in the works? The pair appear to be consciously recoupling in the Hamptons. –David Duchovny wrote a children’s book about a cow who brings peace to Israel and Palestine, and he’s also releasing a debut album, and starring in a new NBC series. So basically, Mulder is taking over the world. I’m cool with that. -I was pretty excited to hear that Colin Farrell is in talks to play one of the True Detective leads (I recently rewatched In Bruges and fell in love again), but news that Taylor Kitsch may also join the cast is beyond awesome. Exactly the boost his career needs right now! –John Legend’s new video is sappy and earnest, but I can’t really hate on anything that features Laverne Cox and Tig Notaro. –George Clooney has responded yet again to the Daily Mail’s bullshittery. -Meanwhile, Angelina Jolie has sued the Daily Mail for releasing that old video that was reportedly shot in her druggie days. -Even though Ryan Gosling once said he’d stop making movies when he started making babies, that does not appear to be the case. -God bless Parks and Rec’s Retta, who put out a statement about her fake boyfriend’s Joe Manganiello‘s relationship news. -Lost and Once Upon a Time star Emilie de Ravin has split from her husband…again. -I love that Belle is the sleeper hit of the summer box office. If you haven’t seen it yet, I highly recommend it. -Speaking of summer indie movies that are building buzz, the reviews for Boyhood are glowing. –Kanye West and Kim Kardashian have reportedly only spent 9 days together since getting married — which is probably why they’re relationship seems so solid. –Channing Tatum shaved his head; still looks hot. –Reese Witherspoon gets Wild in the trailer for her new movie. Between this and the new Gone Girl trailer (which she produced), she’s having a good week.